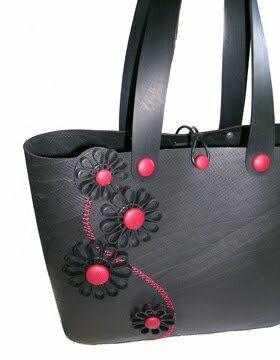 It's been challenging to bring a new, hip and environmentally conscious hand bag line to market. And, that new line will debut next week at the Los Angeles Gift Show. See the new O.BYRON collection in the Dunitz booth, #1031. It became clear to me earlier this year that my excitement for my business had been waning. I'm guessing it had just become too routine for me. I've been involved with designing and selling my beaded jewelry line (from Guatemala) for well over 20 years. It's been steady and wonderful...but not unexpected.